Hey, my friend! When holidays are coming, we usually think about gifts to our loved ones. So why don’t buy stress relief gifts especially in this stressful world? I would wish to say that this world is not like that, but for many of us, it is a stressful place where isn’t easy to live in. So why not give someone a gift that can help them ease the stress they are feeling? Right? 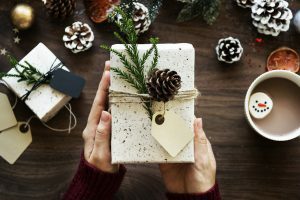 I chose eight great stress relief gifts, that can brighten your loved one’s day and make them smile more by reducing stress and improving their mood. Get these gifts for yourself or your loved ones and friends. They will help you to relax and find more peace in your life. Drinking tea has a calming effect on people, and I am sure that almost everybody agrees with this statement. It is so relaxing to drink a tasty and aromatic tea before bed after a busy and tiring day. Right? You can relax by expressing your feelings, thoughts, and emotions. I always love some new notebook, a journal where I can write about everything that bothers me. I would love to get this journal as a gift because it not only looks interesting but it can help me deal with my feelings. I am sure that you will appreciate this journal too. Journal writing is one of the best ways to deal with stress and anxiety, find more peace and understand yourself better. Sometimes you just need to divert your attention away from stress to something else and it can be an effective tool for stress relief. Did you know that puzzles such as word searches, Sudoku, and crosswords are highly recommended by doctors to keep your stress levels at bay? They are good for your mental health because it allows you to focus on one thing while multi-tasking makes you stressed. In fact, you can challenge your brain and relieve stress at the same time. Isn’t it wonderful? Adult coloring books are popular nowadays, and it works like art therapy in reducing stress. You can choose from a variety of coloring books on Amazon and buy the ones that you like for yourself or your friends. Coloring helps you to relieve stress and enjoy the present moment. What can be more beautiful than being here and enjoying your life that is a gift from the universe to you? Right? There are a lot of stress relief toys for adults that can help you let go of tension and find more clarity in your life. When I first saw the meditation balls, I wanted to buy them, because they looked like an amazing way to ease tension and relax. I think that my teacher was a little obsessed with them (lol…) going everywhere with his meditation balls. You or your friend will be happy to get these beauties, play with them and relax. What do you think? Do you want to try? Truly you don’t have anything to lose, only gain, my friend. When I feel stressed and tired, I light a scented candle with vanilla or lavender aroma. Usually, I literally feel how all of my worries burn and fall away. It is not only relaxing but refreshing like a fresh air. Like a wind blowing everything that harms me away. Give a candle to your friend and let him brighten his life. Sometimes we all need a little more light into our lives even if it’s a symbolic and small one like a candle on our desk. The most importantly, we can be each other’s light in the darkness and a candle can be a reminder of that. It can remind your friends that stress, worries, and negative things aren’t permanent and one day all of that will go away like a nightmare. An Essential oil can boost your energy and make yourself calm. You can enjoy the scent of your favorite essential oil without oil touching your skin. This amazing gift for yourself, friends, family members or co-workers. Aromatherapy can help you to reduce stress, find your inner peace and sleep better. You can enjoy not only the beautiful environment but also wonderful music. I know that many of us go in nature to reduce stress, get new energy and find peace. Why not try to create this kind of atmosphere in your home? I know that especially my mom would love to have this because she loves the sea, and it makes her peaceful and relaxed. Holidays are coming, and I believe that these gifts are great for stress relief and can help you to relax and chill out. I would love to receive these gifts, so I hope that you, your family and friends would like them too. 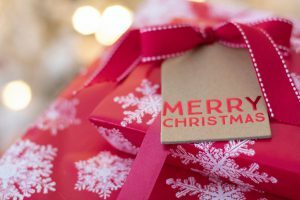 Did you find stress relief gifts for yourself and your loved ones? What do you think about these choices that I gave you? Let me know below! Melt your stress away with great gifts for busy people, CLICK HERE to learn more. If you want to learn ways to relieve stress, please subscribe to this blog, and you will receive notification, when a new post is published. Thanks! Thanks for being here! It means a lot to me. Buy these gifts and reduce stress in all our lives. Melt your stress away! Happy holidays, my dear friends! Smile! Laugh! Be happy! ← How To Celebrate Winter Solstice? – Enjoy A Stressless Day!